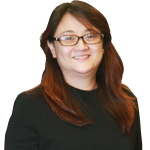 Cherry manages the day-to-day workflow of the Philippines team, helping define and oversee the implementation of strategic priorities. Prior to her work with BGA, Cherry was a lecturer in the departments of International Studies and Political Science at De La Salle University. She was appointed program director for the American Studies Program and eventually became the vice chair of the International Studies Department. Cherry obtained her academic training from De La Salle University and the University of the Philippines, earning an undergraduate degree in political science and a master’s degree in international studies, respectively. She was a recipient of the Senator Matsunaga Memorial Scholarship Award from the Asia Pacific Exchange University of Hawaii and she received a grant from the U.S. Information Services’ International Visitors program.